Celebrate Las Vegas Excitement on Freemont Street. 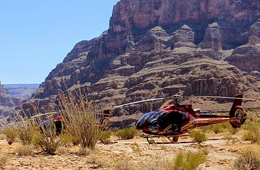 With so much to see and do in Las Vegas, it’s hard to pinpoint activities that stand out from the rest and yet remain family friendly. 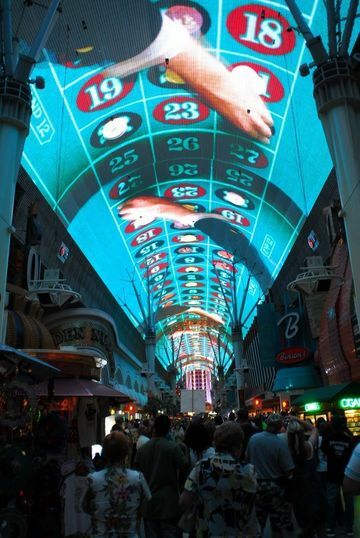 One of the winners in this city of luck is the experience of Fremont Street. Its historical value attracts visitors, as the first casino in Vegas was built on this street. The area has changed dramatically over the years, but the glitz and the glamor remain. The amazing setting is one of the main attractions in the downtown area. It encompasses four city blocks and hold an enormous outdoor mall covered by a barrel-shaped canopy. A variety of casinos, light shows, and concerts take place daily to dazzle locals and visitors alike. What’s not to like about free concerts? Live entertainment lets adults and kids take part in the legendary Fremont Street Experience, a family-friendly tradition for many years. There’s no reason for adults 21 and older to miss out on Fremont Street’s gaming experience, either. Play the tables and slots in at least ten different casinos in-between shows. An LED Screen lights up the canopy throughout the day by projecting colorful images along the its top. Several local tours add to the experience by delivering a look at the colorful history of Las Vegas. 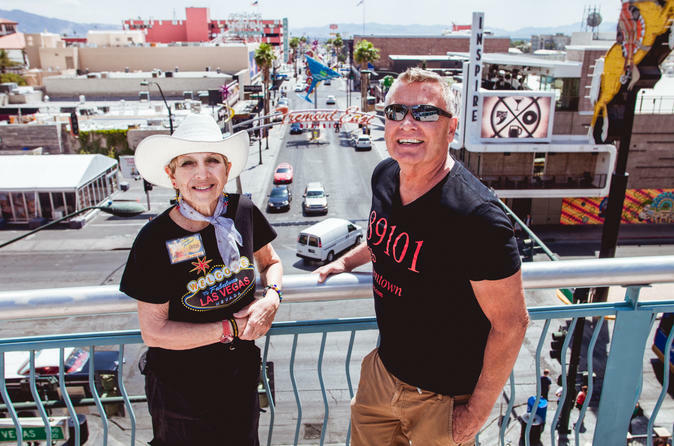 The 90-minute Pop Culture Walking Tour of Fremont Street dives into the story and culture of Downtown. Start the tour at the Mob Museum and includes a complimentary cocktail at the Parlour Bar. A guided, 5-hour tour is yours when you book the Las Vegas Strip and Downtown by Trike tour, including a visit to the Gold and Silver Pawn Shop made famous by the Pawn Stars TV series. Photo Ops abound at sites like the Welcome to Fabulous Las Vegas sign and Carroll Shelby Museum. The Downtown Las Vegas Segway Tour cover the Historic Casino District and Fremont Street. It’s a narrated tour designed for small groups. Receive personal training on how to operate the Segway. 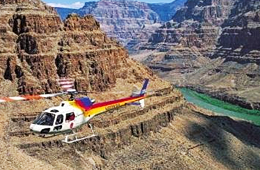 Then take off with the group to see the oldest casino in Vegas and other intriguing items. Imagine touring Sin City with the King. The Private Las Vegas Night Tour with Elvis in Pink Cadillac Convertible lasts two hours and provides you with memories for years. It’s Vegas like you’ve never experienced it, and makes a wonderful gift for friends and family. See as much of this part of Vegas as possible without rushing through so quickly you forget the best parts. 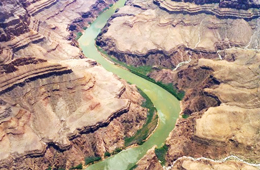 Guided tours show the most popular events as well as the seldom seen places. Make the most of your trip to Fremont Street Experience and return often. There are a few great tours of Freemont Street. Check them out today!